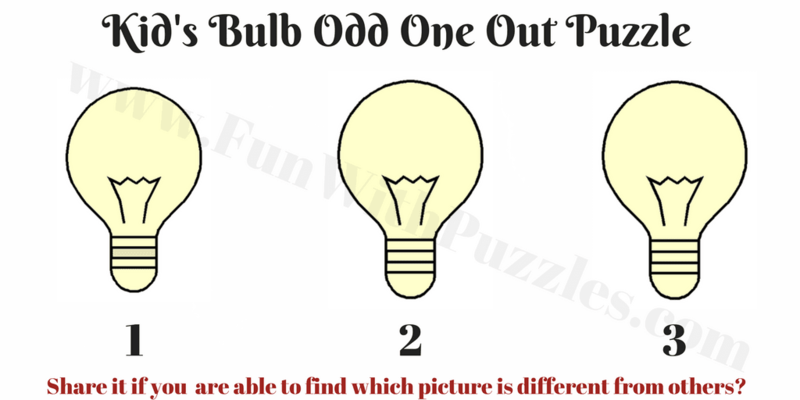 Here is the challenge to find the different picture among the given three pictures. Here are many Odd One Out puzzles on this website. Some are Mathematical Odd One Out. Some are finding Odd Letter Out and Some are finding Odd Number Out Puzzles and some are picture brain teasers to find odd picture out. However, most of these puzzles were for teens and adults and there were very few puzzles which were for kids. 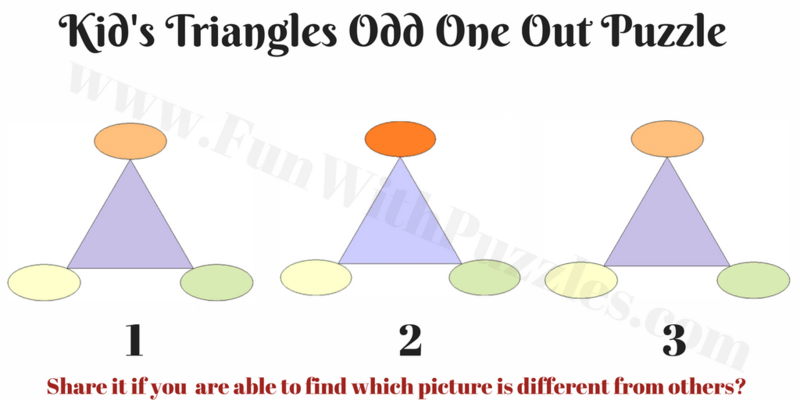 There are few like Finding Different Objects among given similar objects are created by my eleven years' old daughter and hence Kids should also try those puzzles. 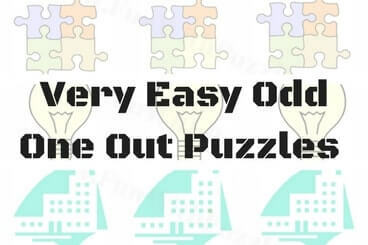 Today's Find the Different Picture puzzles are for kids as these puzzles are very easy puzzles. These puzzles are for very small kids who just joined the school. In these puzzles, the only difference between the different pictures is with the small colour difference between the odd picture which kids have to find. Teens and adults can try other Odd One Out puzzles on this website and skip these puzzles. Answers of these puzzles will be posted later. However, do post your comments in case you want to see the comments of any puzzle? 1. 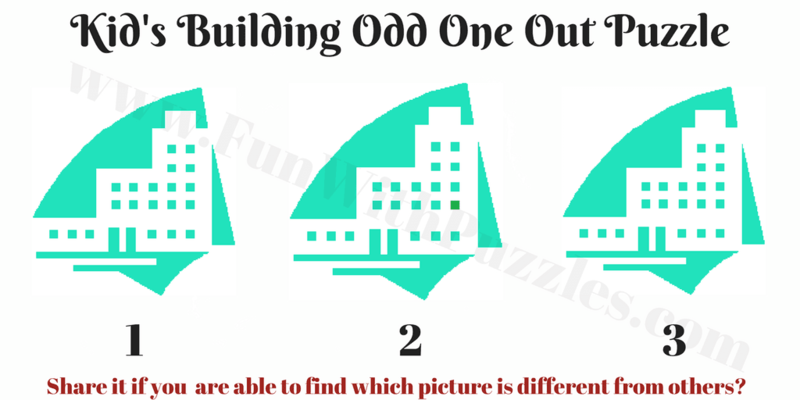 Can you find different Building Picture puzzle? 2. 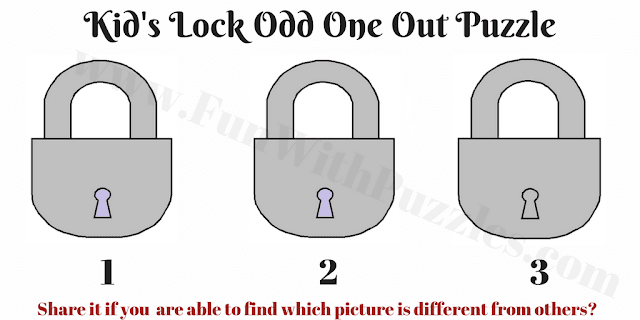 Can you find different Lock Picture puzzle? 3. Can you find different Triangle Picture puzzle? 4. 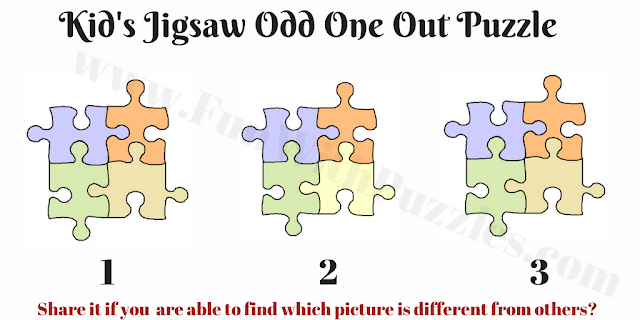 Can you find different Jigsaw Picture Puzzle? 5. 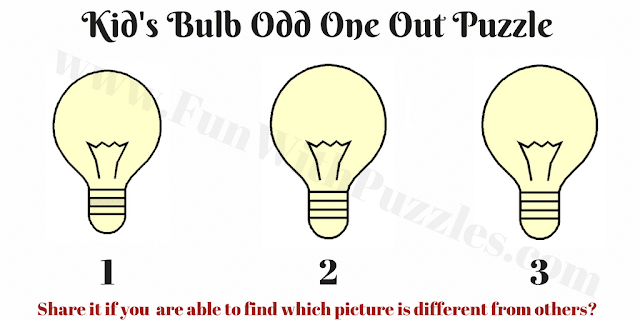 Can you find different Bulb Picture puzzle?